Just after our trip to the Wind Cave, we headed down to the Fairy Cave which was just nearby the Wind Cave. Now, you might be wondering how the Fairy Cave got its name. Well, according to some chinese stories, the Fairy Cave got its name from a stalagmite structure which looks like a Chinese deity. Whereas an old folks tale, suggests that these caves are home to fairies, gods and goddess. Till this day, some Chinese devotees can be seen placing offerings and saying prayers to the rock formations which resemble their God. You may think that Wind Cave and Fairy Cave are the same, but you are wrong. They are completely 2 different caves. The Fairy Cave is situated up high on the hill and there isn't any streams into the cave. 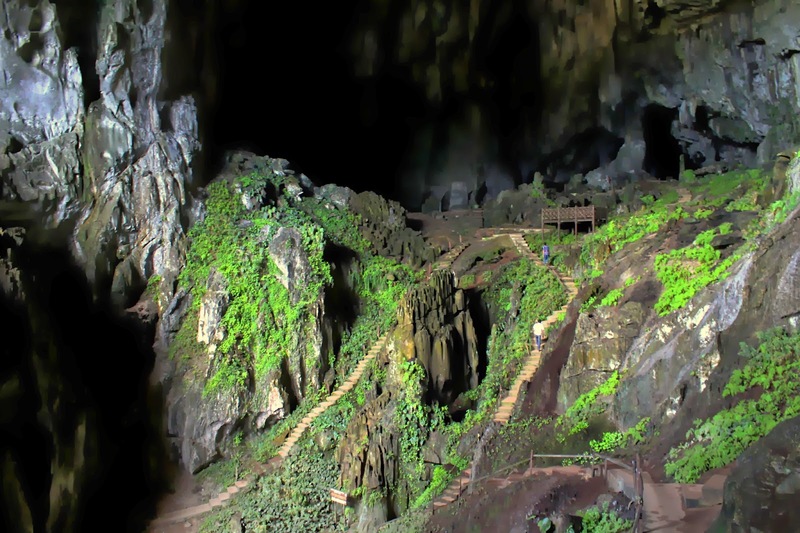 It is easily accessible now compared to before as there is a staircase leading to the base of the cave. Even though we were a little bit tired coming back from the Wind Cave, all of us were still high spirited to go to the Fairy Cave. It was quite a climb, I had to admit up the 3 storey stairs. 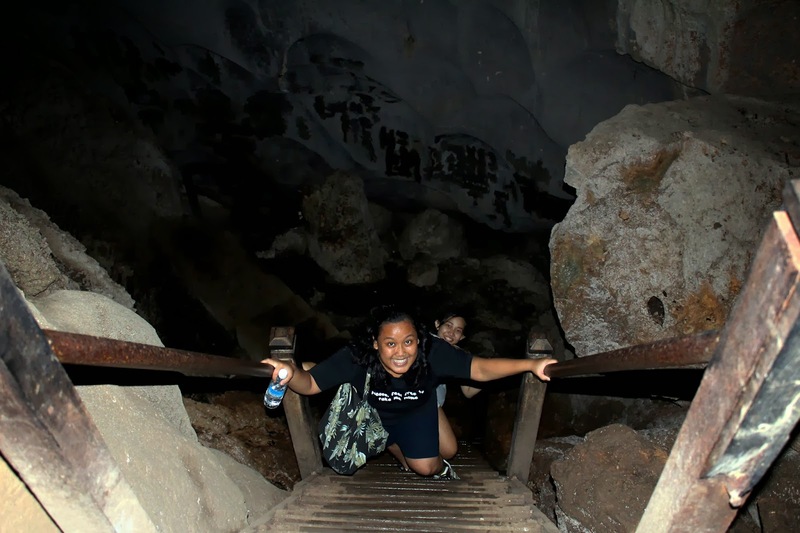 Upon reaching the entrance of the cave, we came across a narrow passage where you had to climb up the steps. It was really windy and cool, as we made our way through the narrow passage. We were greeted with a breath-taking view the moment we made our way to the main chamber. It was simply beautiful. I had to admit, it was an eye opening experience for me. I had never been interested in caves as i thought they were all the same - dark and smelly. Fairy Cave however, changed my perception in an instant with its beauty. Inside Fairy Cave, you will notice the beautiful contrasts between the light entering the cave and its shadowy darkness, along with hues and shades of brown and grey of the rocks - highlighted by the rich green of the moss. Rock climbers usually carry out their ascent on the rock surface outside the cave as it provides quite a challenging climb. The main chamber is really huge with various stairs leading up to smaller caves. Some of these chambers are yet to be explored, so its best not to wander too deep into one unless you are with a guide. Looks pretty cool right ? We followed one of the stairs up and it led us to a trail deeper into the cave. As we ventured deeper into the cave, the stench of the bats guano got stronger too. 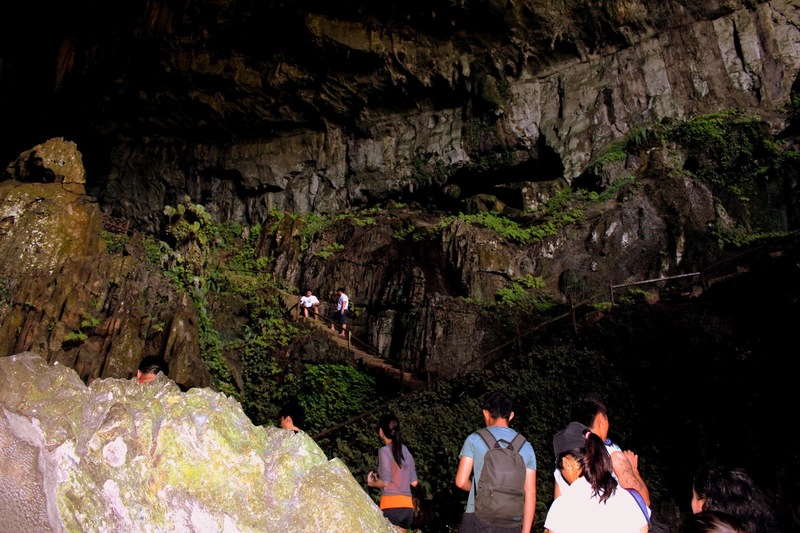 Stalactites and stalagmites can be seen all along the trail, so keep an eye on where you are walking inside the cave. The trail eventually led us to the other end of the cave, where there was a small rest area. There wasn't much to see though as it was covered mostly with trees. We then made our way down the cave back to the main chamber. On the way down, we spotted the one of the many Fairy Cave statues. To sum it up, it quite a memorable and eye opening trip for me. I actually look forward to exploring more caves after this despite having to bear with the stench of the bat guano. All of us had an great time at the end of the day. Be sure to drop by here and I bet you will love it.